Right in time for back-to-school . 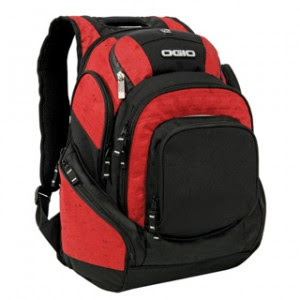 . .
Ellen of Thrifty & Chic Mom is giving away one of these Ogio Mastermind Packs! This one is in my favorite colors, but the winner gets to choose their favorite. This backpack comes complete with a sleeve that holds a 17" laptop. How cool is that? This contest is for U.S. residents only and ends August 10th, 2009.